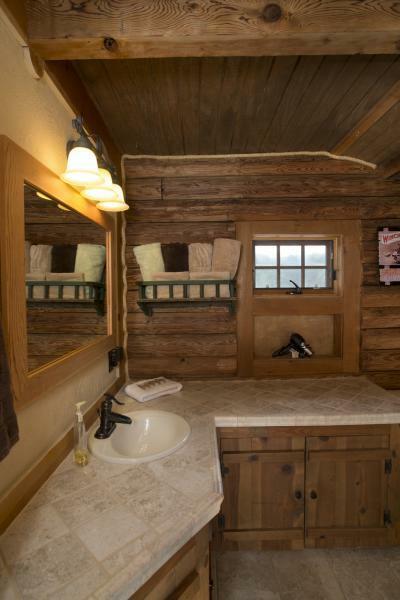 Enjoy this cabin that is perfect for a small family or group of friends looking to escape it all! 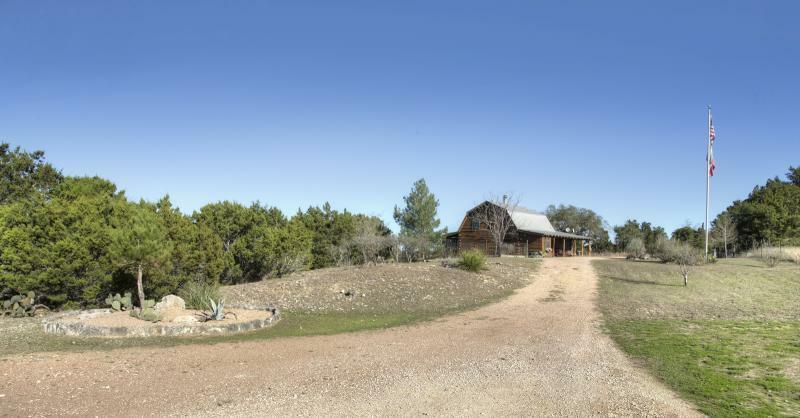 While enjoying the beautiful views and serenity in the countryside, you're still only a few miles away from downtown Wimberley. 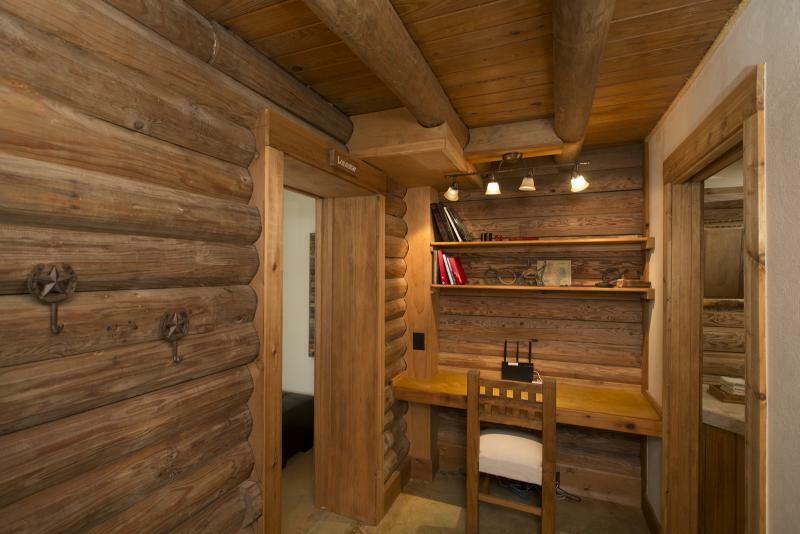 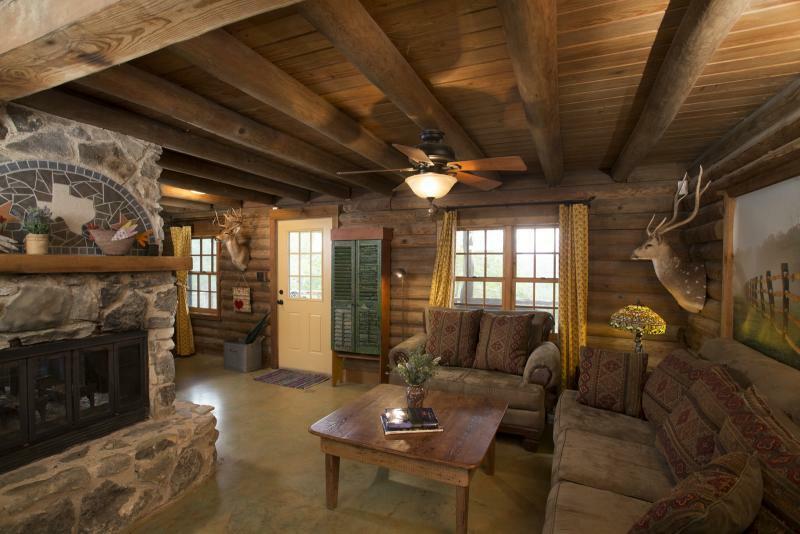 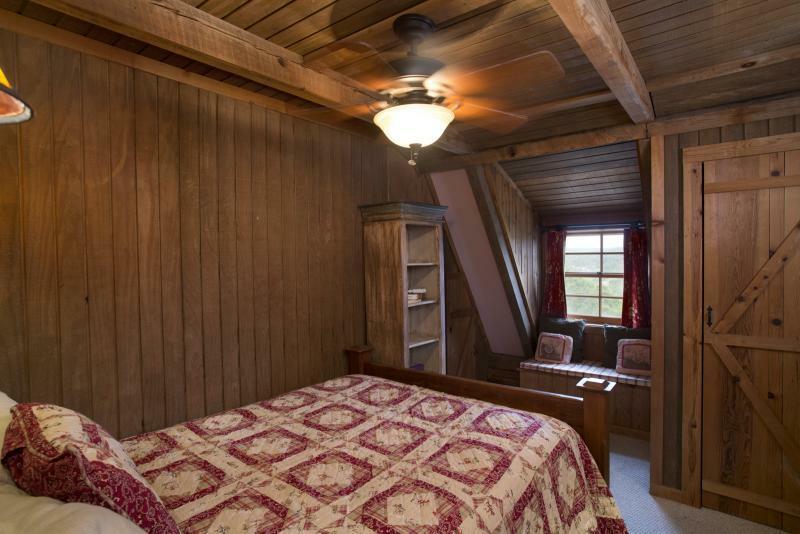 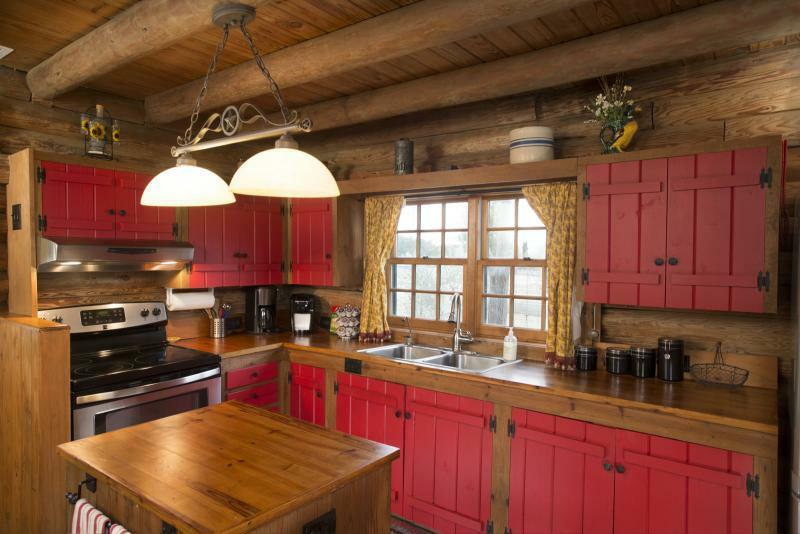 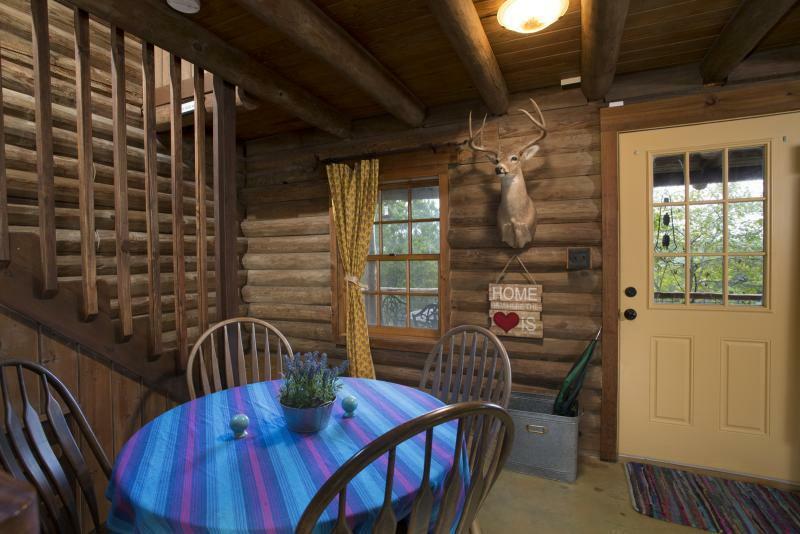 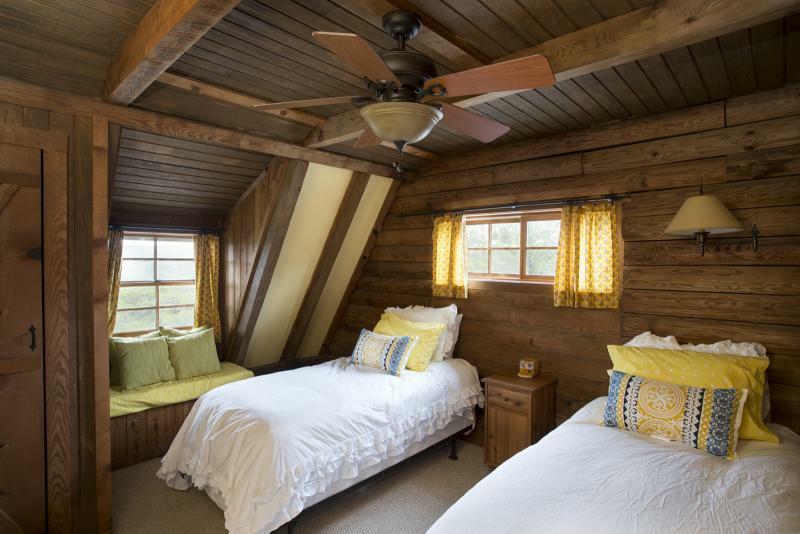 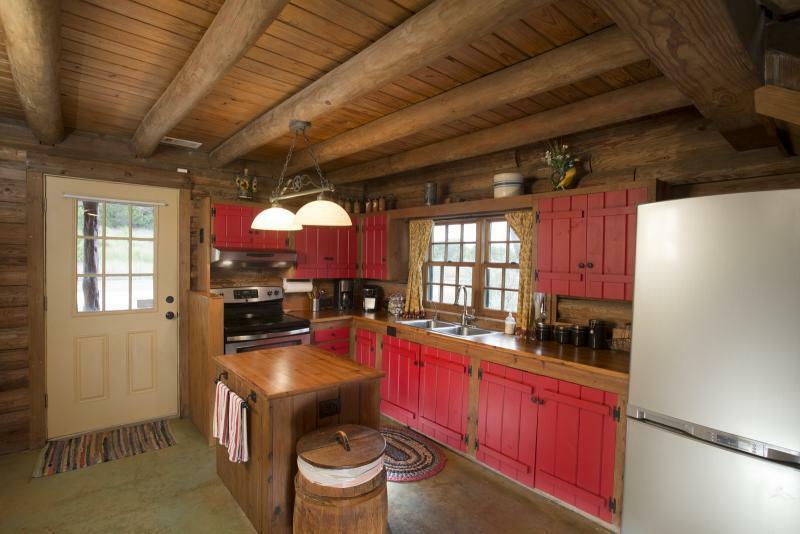 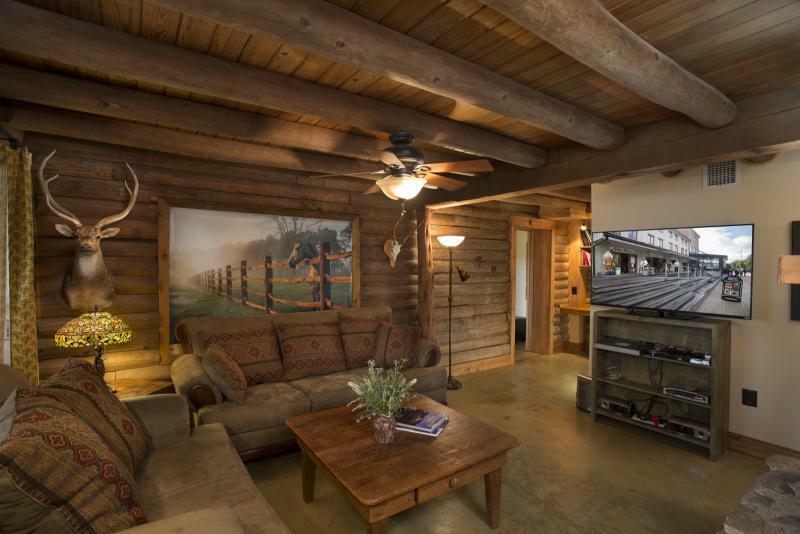 This cabin has three bedrooms and two bathrooms, a full kitchen and a cozy living room area. 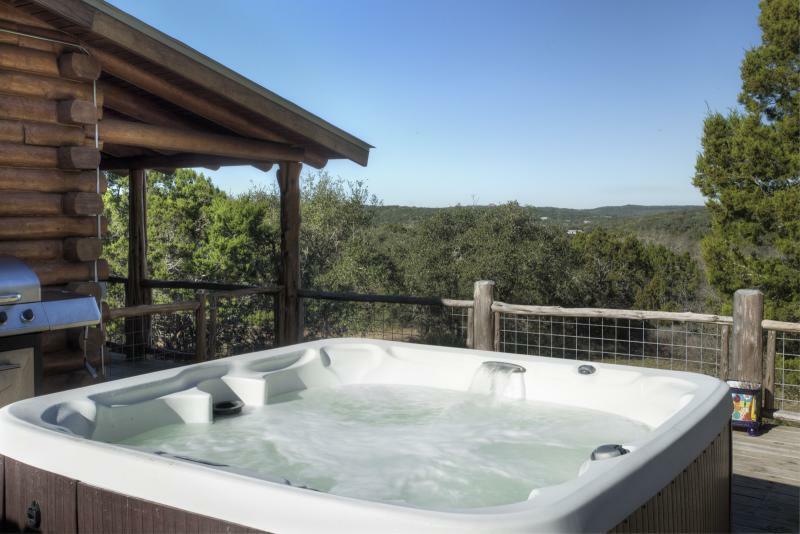 Take advantage of the spacious deck, rocking chairs and the hot tub/spa overlooking the stunning views of the Texas hill country! 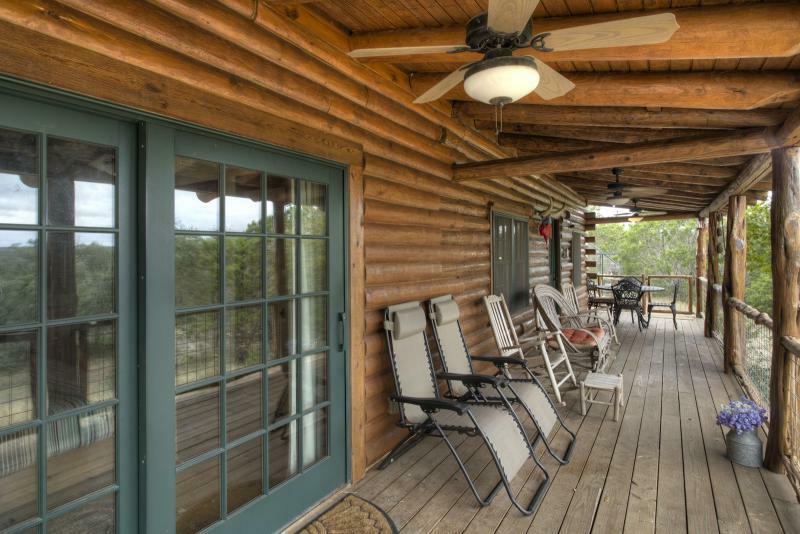 Stunning views of the Texas Hill Country! 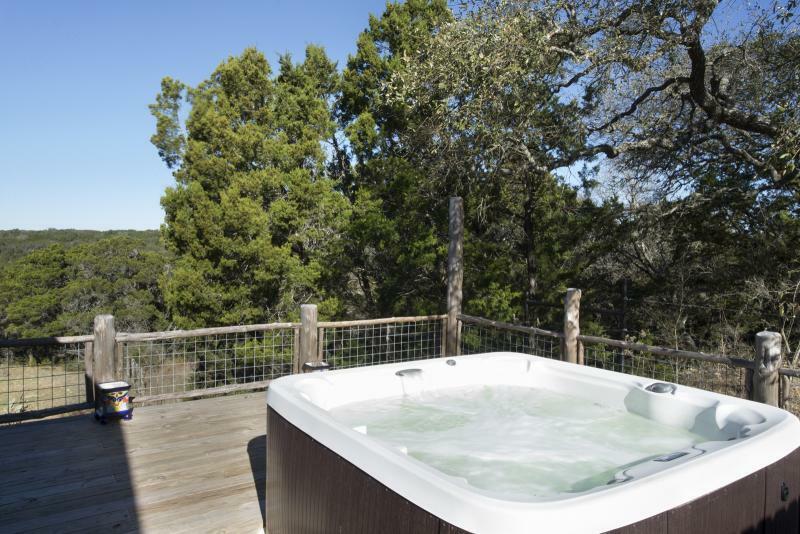 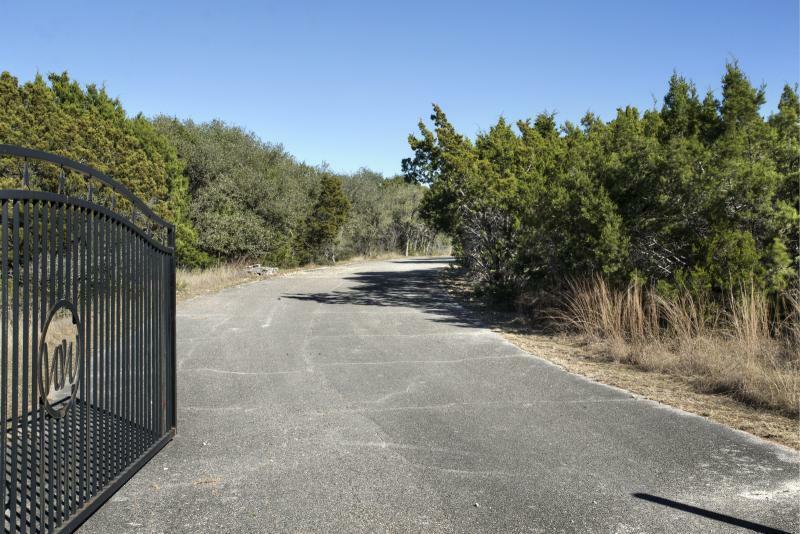 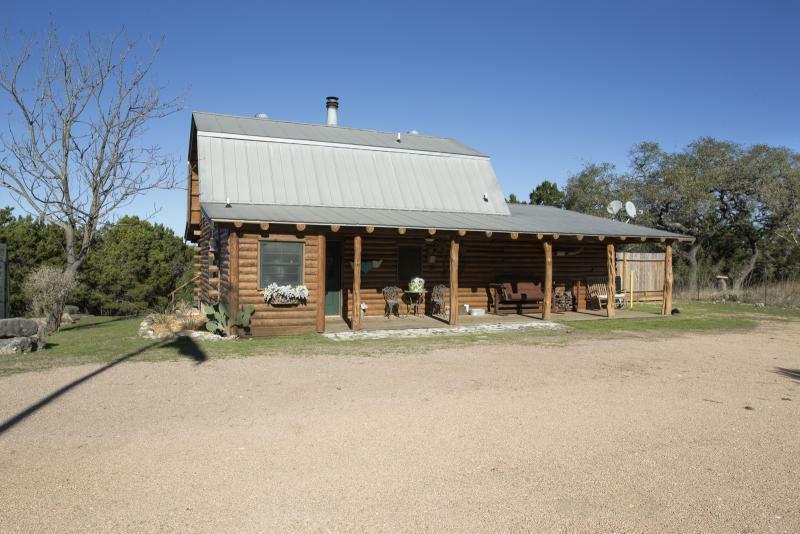 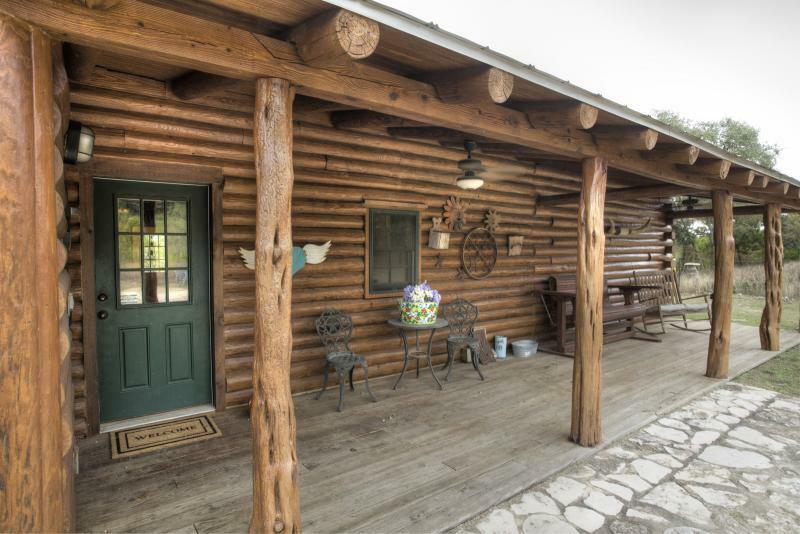 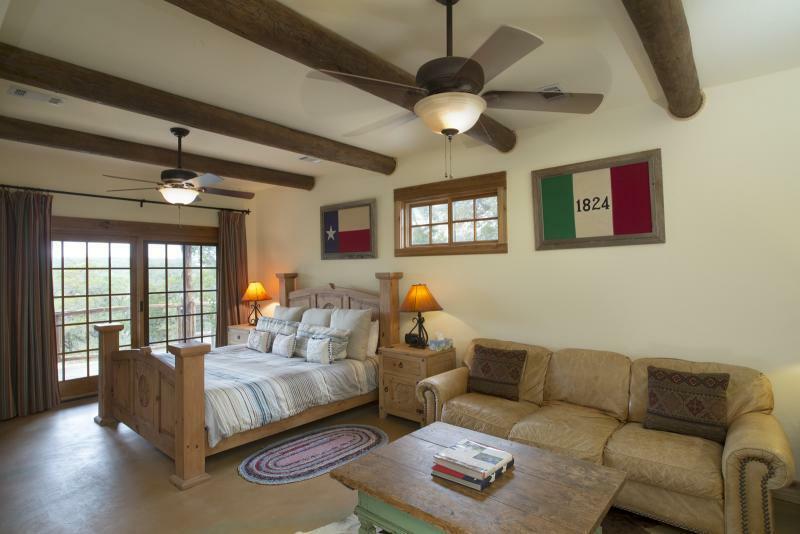 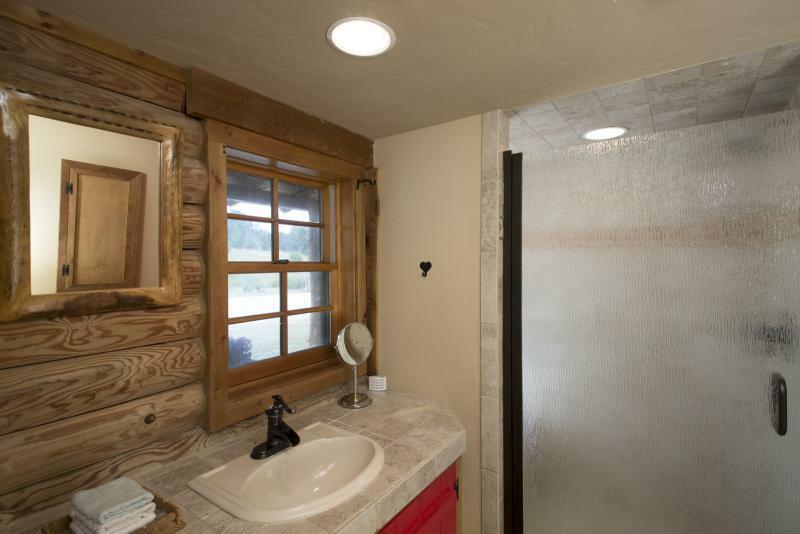 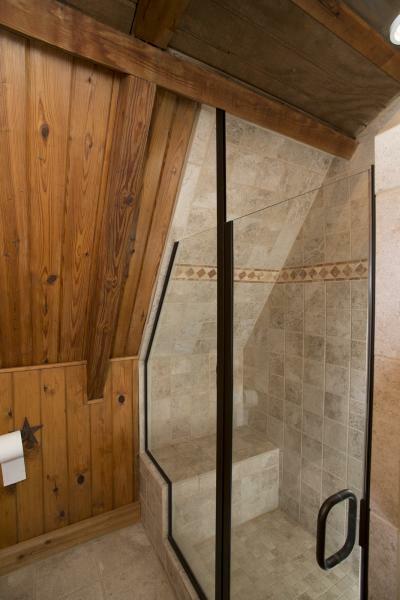 Ultimate privacy with access to the adorable town of Wimberley only a few miles away!